About – Kylea Taylor, M.S., M.F.T. Kylea Taylor is a Marriage and Family Therapist, licensed in California (MFC #34901), a Consultant, and the author of The Ethics of Caring. Kylea’s personal mission is to decrease client harm and increase client benefit by inspiring and educating therapists, teachers, and other care providers to do the compassionate self-reflection process of InnerEthics™, and by offering support through consulting and peer and formal supervision. She envisions a paradigm shift in therapeutic, academic and medical cultures where ethical self-reflection has become the norm. As a therapist, Kylea is particularly interested in helping clients integrate the effects of rapid spiritual development catalyzed by non-ordinary states of consciousness, including the transformational effects of meditation, spiritual practice, breathwork, hypnosis, spontaneous openings, grief, depression, post-traumatic stress, substance use and addiction, medicine work, and energy release phenomena. Kylea’s private practice is based in the Santa Cruz Mountains. Kylea earned her Master of Science degree from San Jose State University, San Jose, CA in Marriage, Child, and Family Counseling. She started working as a counselor in the addictions recovery field in 1970 and served as the executive director of a community counseling center for sixteen years. She worked at a Santa Cruz residential substance abuse treatment center for 9 years. Her study of kundalini yoga in the 1970s began her enduring interest in the interface between psychological, physical, social, and spiritual aspects of ourselves. She has extensive personal and professional experience with addiction, post-traumatic stress, dissociation, women’s issues, “spiritual emergence(y)”, and kundalini phenomena. Kylea served for two years as the Ethics Chair on the Board of the Santa Cruz California Association of Marriage and Family Therapists (CAMFT). Kylea Taylor has been a Senior Trainer since 1993 for the Grof Transpersonal Training which trains practitioners of Holotropic Breathwork®. She began ongoing study in 1984 with Stanislav Grof, M.D., in transpersonal psychology and non-ordinary states of consciousness. Kylea has assisted Stanislav Grof at many large workshops and has facilitated workshops and presented her ethics model at conferences in the United States and abroad. In 2019 she teaches InnerEthics™ in GTT modules in California and Austria. She has authored four books about Holotropic Breathwork®. For 17 years Kylea served on the Board of the former Association of Holotropic Breathwork® International (AHBI) and edited The Inner Door, the Holotropic Breathwork® community newsletter. See a listing of Kylea’s Presentations & Courses. Kylea and Seena B. 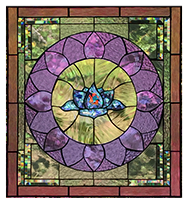 Frost (Founder of SoulCollage®) created the SoulCollage® Facilitator Trainings in 2003. Kylea is President of SoulCollage Inc. and a SoulCollage® Trainer. In 2019, there are nearly 3,900 SoulCollage® Facilitators in 48 countries who are trained to share this expressive arts, self-discovery method used individually and in community. Kylea is the author of the following books published by Hanford Mead Publishers, Inc.: The Ethics of Caring, The Breathwork Experience, Considering Holotropic Breathwork® and The Holotropic Breathwork Facilitator’s Manual*, and is the editor of Exploring Holotropic Breathwork®. She has also written numerous articles and book chapters for print and online magazines and journals and anthologies. Read Kylea’s tribute to some of the individuals who have been most important to her and to her work in the world. Kylea Taylor is interviewed about “everyday ethics” in communications with significant others. She provides thoughtful suggestions about how to create situations where both people feel safe, heard, and cared about.